The Technical Lab Report – Knowledge and Skill Required! University level lab reports are nothing like students faced during their high school years. And, if you are a science student tasked with preparing an academically-sound lab report, you understand the complexity of the job in front of you. You must determine your research question and develop a scientifically significant hypothesis. You must analyze your results and discuss the significance of them to the body of related scientific knowledge. You will either confirm earlier research, demonstrate a flaw or gap in prior research, or provide suggestions for future research based upon your findings. Incomplete literature review, flaws in design, trouble with statistical analysis of results, and many other issues connected with the production of a lab report can delay production and result in a missed deadline. Don’t let this happen to you! You Have Scientists from TrustEssays.com on Your Side! Unlike the majority of other writing services, we happily take any order for a lab report in any area of science. We can do this because we have Ph.D. scientists on our research and writing staff – individuals who are able to assist you in the development of your research question, your research design, and, once the experimentation is completed, with the analysis of your results. When you come to us for help with your lab report, you will have a single expert with whom you can collaborate on every part of the project. Direct communication and your review and approval of every section are standard procedures at TrustEssays.com. You will end your collaboration with a perfectly written and appointed lab report – one that is scientifically sound and ready for submission. Get your personal scientist today! 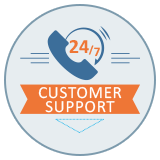 Just contact us, let us know the level of assistance you need, and watch how quickly we respond! Order lab report right now!